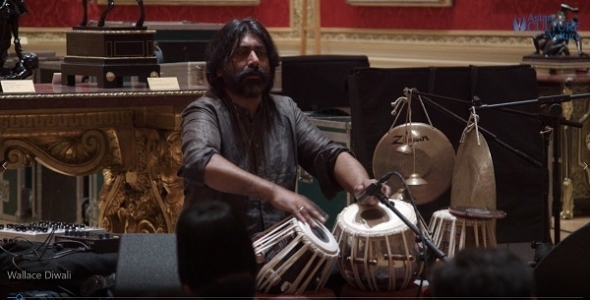 SEE TALVIN SINGH, Mercury Prize Winner, headline the acts at the Wallace Collection Diwali event. He is joined by Bobby Friction, broadcaster and DJ, who played a set on the evening; Babbu The Painter, the artist who has made an impact with her illustrations and work allacross the globe. Also featured in this is co-curator and musical ace Bishi and our very own Momtaz Begum-Hossain, an acv presenter who also helped the put the line up for the evening at the Wallace Collection together for November 9. The Wallace Collection is a free museum space in the heart of central London and totally free to visit. It was bequeathed to the country by Lady Wallace, the wife of Sir Richard Wallace, the son of the 4th Marquess of Hertford, in 1897 and the museum is located in Hertford House, as it was originally known. The artwork contained within was collected by the family over two centuries. The Diwali event was one of several Wallace Lates, where the house is open into the evening for events. This Diwali event was sponsored by Morgan Stanley.